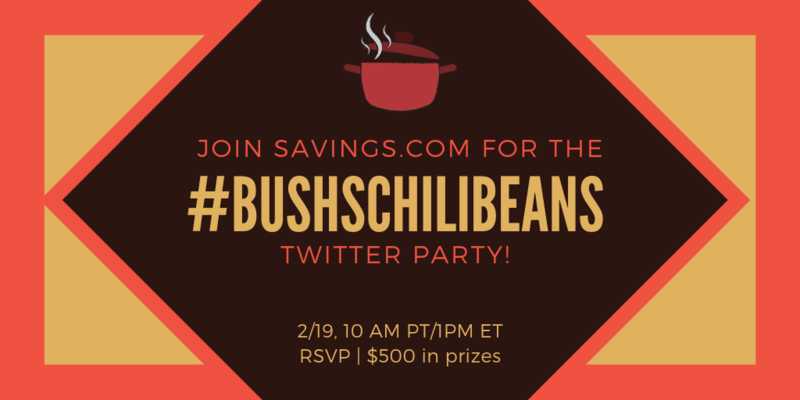 Join us on Tuesday, February 19th at 10AM PT/1PM ET for our #BUSHSChiliBeans Twitter party! We’ll be talking about all of our favorite cold-weather meals and about how BUSH’S Chili Beans can make a great addition to those recipes such as Chili Cornbread Casserole. Come share your ideas with us! There will be $500 in gift card prizes up for grabs, so be sure to RSVP to be eligible to win! 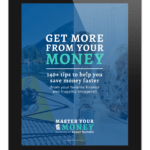 Prizes: (6) $25 Gift Cards from Walmart, (2) $50 Gift Cards from Walmart, (1) $100 Gift Card from Walmart, (1) $150 Gift Card from Walmart.